If you want to appreciate the architec-ture of Taj Mahal you should lay your hands on a guide written by India’s best-known statistician – Prasantha Chandra Mahalanobis – The ﬁrst Indian statisti cian to receive world recognition. Mahalanobis was born into a socially progressive business family in Calcutta on 28 June 1893. His father Subodhchandra was the proprietor of a sports goods business. His mother Nirodbashini was the sister of Sir Nilratan Sircar, a famous physician, educationist and industrialist. After passing Matriculation from the Brahmo Boys School in Calcutta in 1908 and B.Sc in 1912 from the Presidency College, Mahalanobis took part I of the Mathematical Tripos in 1914 from King’s College, London but changed over to physics and passed the Natural Science Tripos, part II, with a ﬁrst class in 1915. He later worked with C.T.R. Wilson at the Cavendish Laboratory, Cambridge. Mahalanobis was no bookworm. He actively participated in social and cultural events, group discussions, the university union and was also fond of long hikes. In his later life, Mahalanobis served as secretary to Rabindranath Tagore during his foreign travels. In his own professional career too, he was to develop tools that applied in various ﬁelds, including meteorology, anthropology, epidemiology and linguistics. The First World War delayed his return to India. One fortuitous morning in the King’s College library he chanced upon bound volumes of Biometrika. Thrilled with what he read, he brought several volumes of the journal and read them on the boat during his journey back to India. It was this brush with statistics that would later become a life-long rage with him. Returning to India, he took up a lectureship in physics at the Presidency College in Calcutta. But in his spare time he continued with his studies in statistics. Statistics was known in India only in the sense of ofﬁ cial data. The universities, research institutes or academic bodies did not recognize it as a separate discipline. It was this singular preoccupation of Mahalanobis that set his mark in history. Mahalanobis published his ﬁrst paper in 1922 when he met Nelson Annandale, the director of the Zoological Survey of India. Annandale presented him with the following problem: to analyse anthropometric measurements of Anglo-Indians in Calcutta. Mahalanobis found a way of comparing and grouping populations using a multivariate distance measure independent of measurement scale, now named after him (Mahalanobis distance). Impressed by his successes, various authorities approached him with their problems. For instance, in 1922, engineers attributed a disastrous ﬂood that hit North Bengal to a rise in the riverbeds and advised the government to raise the embankments. When Mahalanobis was consulted, he sifted through the ﬁgures of rainfall and ﬂ oods for the past 50 years and concluded that a better drainage system was required to ensure a smoother ﬂow of the rivers. The Hirakud Hydroelectric Project and the Damodar Valley multipurpose hydroelectric project are both based on his statistical studies. After these initial successes Mahalanobis mooted the idea of starting the Indian Statistical Institute. The Institute started out as a workshop called the Statistical Laboratory, which in April 1932 became the Indian Statistical Institute. The Institute applied statistical methods to several problems successfully. ISI hosted the famous biologist J.B.S. Haldane as a Research Professor for four years. In 1933, Mahalanobis founded the ﬁrst Indian statistical journal Sankhya, along the lines of Biometrika, which had inspired him greatly. The Government of India established a central statistical unit in 1949 to work under the technical guidance of Mahalanobis. In 1954, the Prime Minister of India called on Mahalanobis to initiate studies in planning at the ISI to help in the formulation of ﬁve-year plans. In 1959, the Indian Statistical Institute was declared as an Institute of national importance by the parliament and empowered to award degrees. 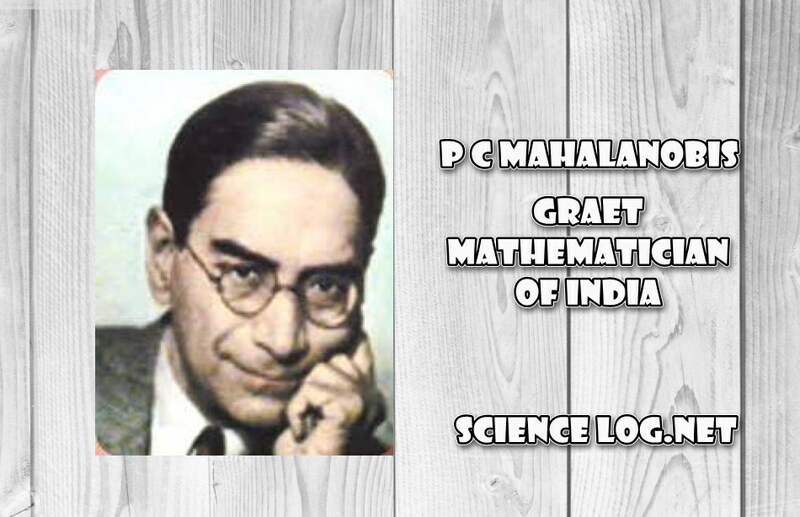 Within a short span of time Mahalanobis, with his untiring efforts and high intellect, had been able to raise statistics to a high pedestal. Some also call this period the Mahalanobis era in statistics. 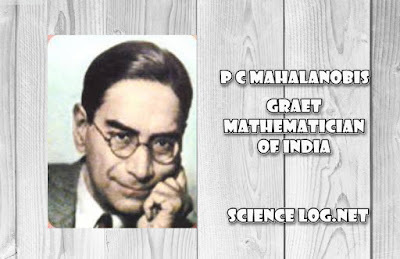 Mahalanobis was elected Fellow of the Royal Society, London in 1945. He was also a founder fellow of the Indian National Science Academy (INSA). This visionary and the best-known statistician that India has ever produced died in 1972 at the age of 79.